The MLS-7000es Changer Controller is Cinemar's solution to managing, controlling and viewing movies on one or more Sony BDP-CX7000ES Changers (not provided). The system comes complete with all Cinemar software pre-installed and configured. 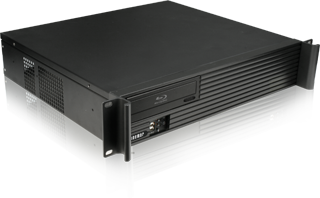 It includes our MLS-7000es Rackmount Changer Controller include a standard IR Remote Control (RF Optional). 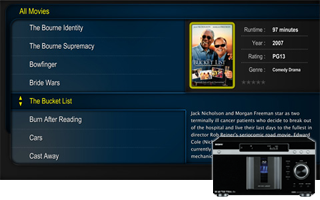 Select movies in any changer using the 1920 x 1080 HD onscreen user interface. And because the MLS-7000es is based on our current automation software, you'll be able to easily expand the system to control lighting, thermostats, security and much more. Read Synopsis, ratings, production year, etc.